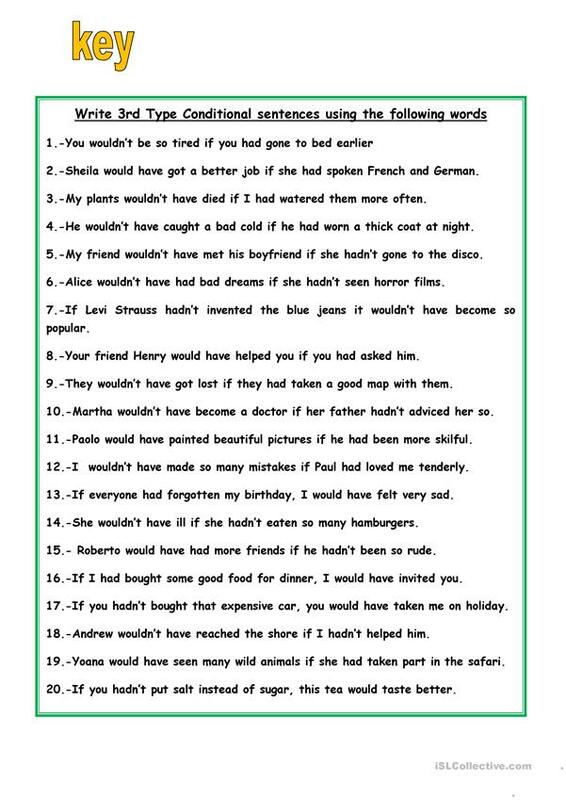 Students write sentences in third conditional. This downloadable worksheet is intended for high school students and adults at Pre-intermediate (A2) and Intermediate (B1) level. 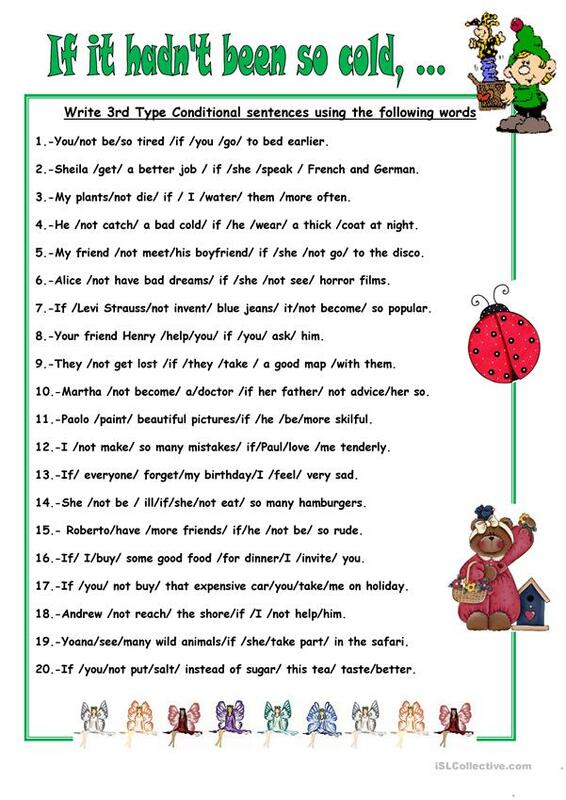 It is aimed at practising Conditionals in English, and is excellent for enhancing your pupils' Writing skills.